This is a guest post written by Emily. Also See How To Become a guest author on BlogTipsNTricks. For the freelance writer, there are many text exchange sites online that can connect you with clients who need well-written articles. However, your mileage may vary. Some sites offer poor remuneration, while others have limited amounts of articles available to write. Before deciding on which site to write for, it's important to investigate and decide which would be a better fit for you. In order to help you with your decision, we've provided some details on three of the better text exchange sites. Text Broker is a reliable site that takes the quality of their articles quite seriously. Upon signing up as a writer, you are required to submit a brief sample of your work. An employee of textbroker will then assess your work and rate it from one to four stars, which will determine what types of assignments you are permitted to accept. After each assignment you submit, a textbroker employee will evaluate your submission. These evaluations are listed on your profile and will cause your rating to go up or down, which may increase or decrease the number of assignments available to you. If you are a talented writer or have professional experience, this system provides you with an immediate advantage. 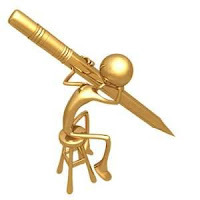 Text Broker's system allows competent writers to obtain recognition faster, which translates directly into higher earnings. Because of this, however, it is important to do well on the initial assessment. Additionally, there is sometimes a lack of decent assignments to work on. If you only want to work on a few assignments in a given week, this may be the perfect fit but if you want to perform high volume article writing, you may want to look elsewhere. iWriter is a newer text exchange site. Like most others, it allows clients to post assignments that writers can select from. All writers begin as "standard" writers and have their status re-evaluated after thirty approved submissions. This re-evaluation looks at client reviews and the writer may be promoted to "premium" or "elite" status if they have an average score of 4.0/5.0 or higher. A higher status of writer corresponds with a significant increase in pay, so it is desirable to complete these thirty assignments as fast as possible. This can be problematic for professional writers. They may be frustrated initially with iWriter, since they will only be allowed to write articles of the lowest pay grade. However, if they can grind through it, iWriter usually has substantially more assignments than some other services. The volume of assignments available means that writers who are able to complete their tasks quickly can make significant earnings over a short period of time. Odesk is great for writers, and any other people that are looking for work. To gain reputation and a better pay check, you will submit writing samples and your resume so that potential clients can see what you can write. From there, you can apply to different jobs that you believe that you will be the best suited to. This site is extremely versatile, and you can find tons of work on here. However, it is extremely competitive. If you don't have a lot of time to dedicate to this website, it might not be a good fit for you. However, once you get your first assignment, and you do it well, it will go a lot easier. Clients will be able to rate you, and once other clients see that you are rated higher, you will most likely get the job. You need to be willing to be flexible for the prices that you charge because there are so many other workers on this site. Be sure that you don't include your price with the Odesk fee (which is 10% of the job), you might get stuck with less money if you don't specify it! Ultimately, there are too many text exchange services online for me to say that one is the "best" for everyone. However, by knowing some of the rules of these three top tier sites, you can examine your own strengths and match yourself up with the one you feel gives you a better earning potential. Whether it's Text Broker, iWriter, Odesk or another site altogether, the important thing is getting the most value out of your time. Emily G. is a writer for www.mybusinesscareers.com. If you are interested in how business works, take a look at this site to help you learn more about this field. Thanks Emily, I had never heard of Text Broker or iwriter. Will check them out.